Visit your favourite celebrities at Madame Tussauds and enjoy stunning views from the London Eye - and more - with one of our exclusive discount packages. Enjoy discounts of up to 35% with one of our many combination packages. 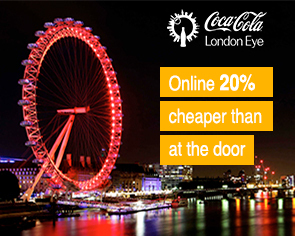 Book your tickets here and see the best of London!